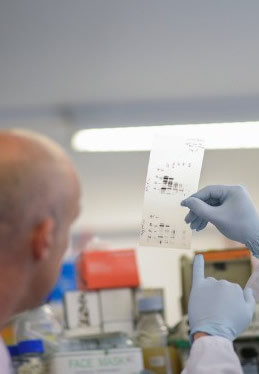 Oncology treatments are still too frequently ineffective, while in parallel technological advances allow the classification of new cancer subtypes using molecular and cellular analyses. Building a sustainable sector and accelerate the discovery of new treatments tailored to each patient. 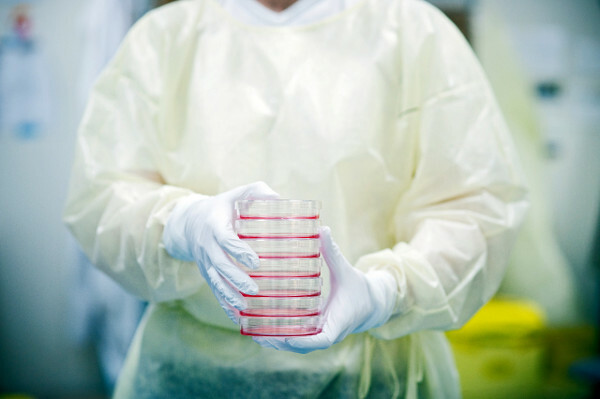 IMODI is a French industrial initiative to pool the resources allocated to the development and characterization of new experimental models of cancer. 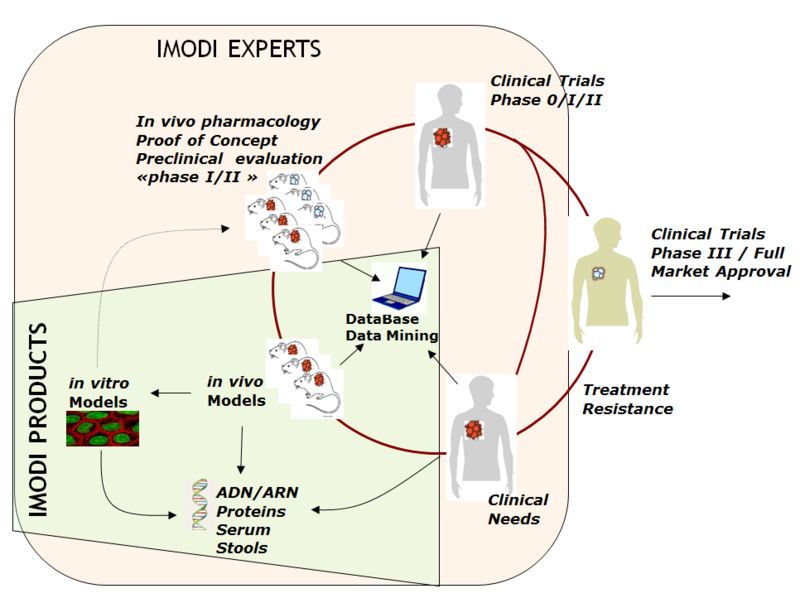 IMODI partners are organized within a consortium owned by both private and public pharmaceutical and medical research labs, creating a unique chain of value and expertises from the patient to the therapeutic target. In addition to awareness of each partner, this structuring project has received recognition from 5 French competitiveness poles: Medicen, Alsace BioValley, Cancer Bio Santé, Lyon Biopole and Atlanpôle Biotherapy . Moreover, IMODI is granted by the French government with the financial support of the Public Investment Bank as part of the “Avenir Investment Program” . The founder and coordinator of this consortium is OncoDesign, a French SME company, based in Dijon. OncoDesign has been created in 1995 by its current CEO Dr. Philippe Genne. The management of cancer treatments greatly increases the pressure on health economic systems, with estimated costs now exceeding one hundred billion dollars in Western countries. Recent economic studies, report that these expenditures will continue to increase every year by 7.5% and 10.5%, and could reach 150 billions in 2020 (IMS Health report, 2015). IMODI is an industrial sector of health, answering to the needs of the scientific and medical community, whether private or public. Its construction was initiated in 2013. 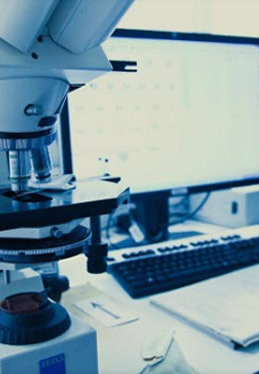 IMODI develops predictive preclinical models with a high level of characterization to detect as early as possible in the development process, the most effective and the most appropriated anti-cancer therapies for targeted patient populations. Experimental models constitute a highly strategic step between new drug candidates and patients. In this context there is a need to develop new experimental models of cancer mimicking as close as possible the human pathology. These models represent powerful tools for translation to humans when they are accompanied by a comprehensive characterization, including the patient's clinical history, the tumor histology, as well as the molecular profiles and the pharmacological sensitivity.